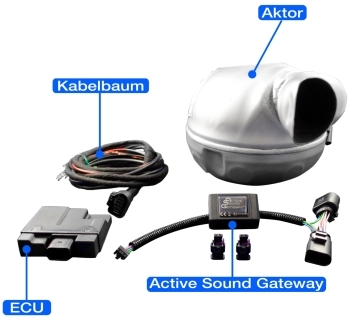 You have the possibility to purchase a complete set for the active sound retrofitting of your vehicle. 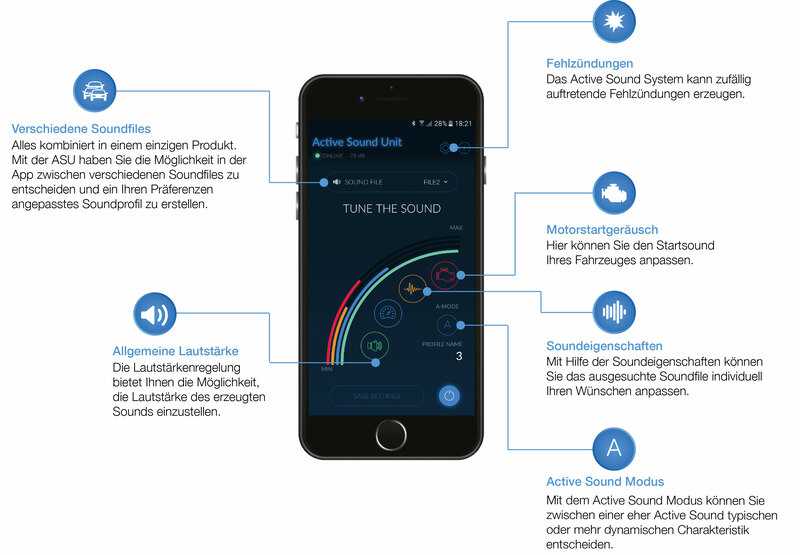 If your car already has an Active Sound exhaust system , you can install our sound module Active Sound Unit (AS-DEV) Plug & Play and enjoy the functions listed below as well as the App control. The retrofitting of synthetic V8 engine sound is possible with any vehicle with Can-Bus . The sound actuator (or sound actuator) in combination with our Active Sound Unit creates a distinctive, voluminous and aggressive sound characteristic - even in your diesel, hybrid and electric vehicle!